PODCAST The unbelievable story of the most infamous dance hall in New York City. 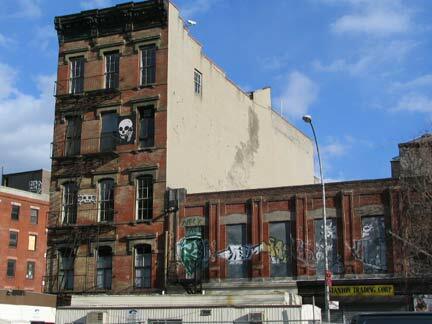 But the dance hall at 295 Bowery, the loathsome establishment owned by John McGurk, was not a place to admire. 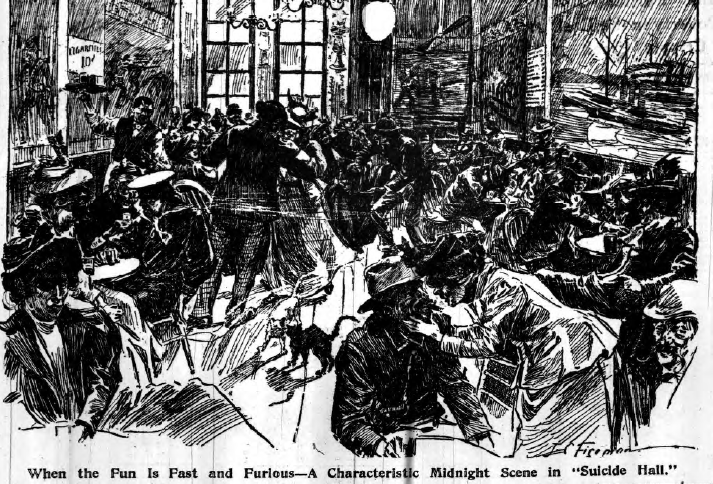 It was the worst of the worst, a dive where criminal activity thrived alongside bawdy can-can dancers and endless pours of putrid booze. 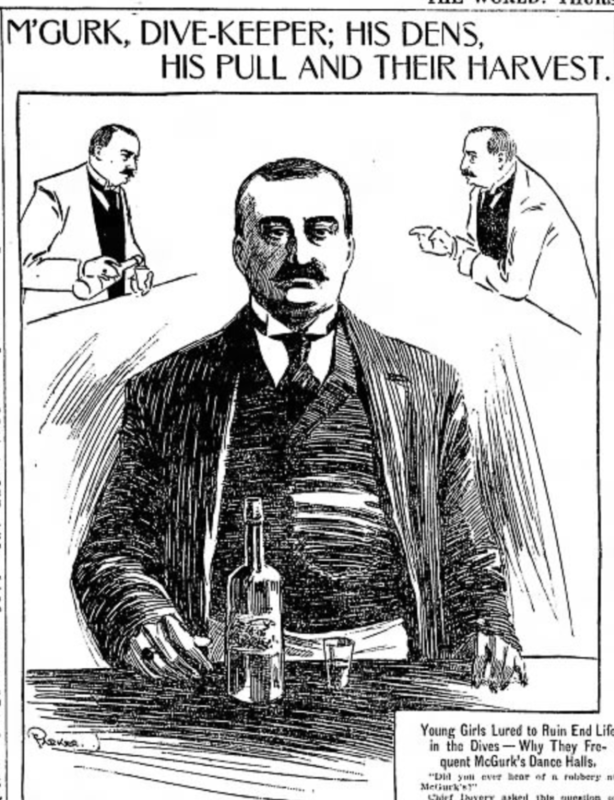 In early March of 1899, a woman named Bess Levery climbed to one of the top floors of McGurk’s — floors given over to illegal behavior — and killed herself by drinking carbolic acid. Within a week, two more women had ventured to McGurk’s, attempting the same dire deed. 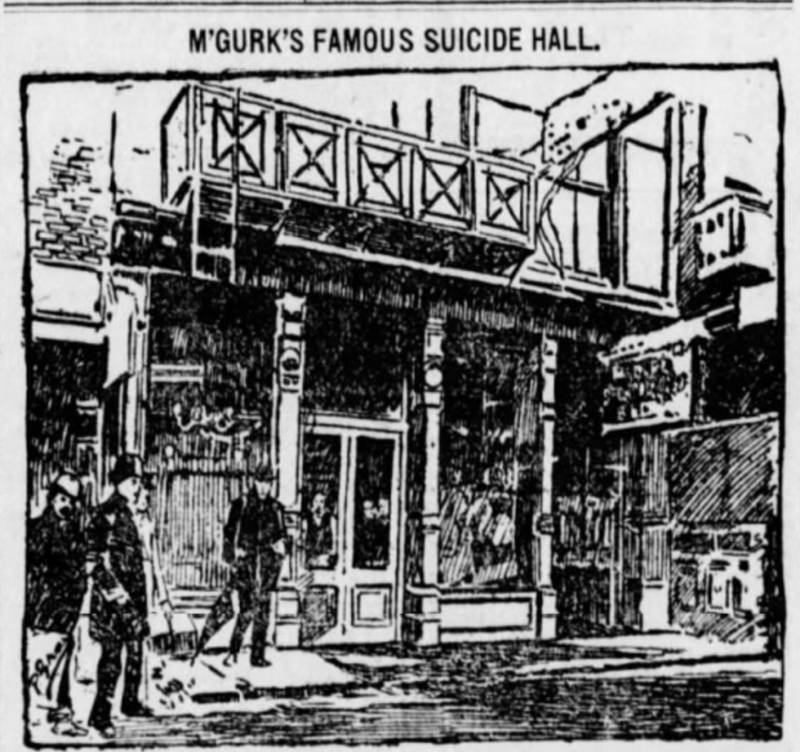 By the end of 1899, the dance hall had received a truly grim reputation, and its proprietor, capitalizing on its reputation, began calling his joint McGurk’s Suicide Hall. 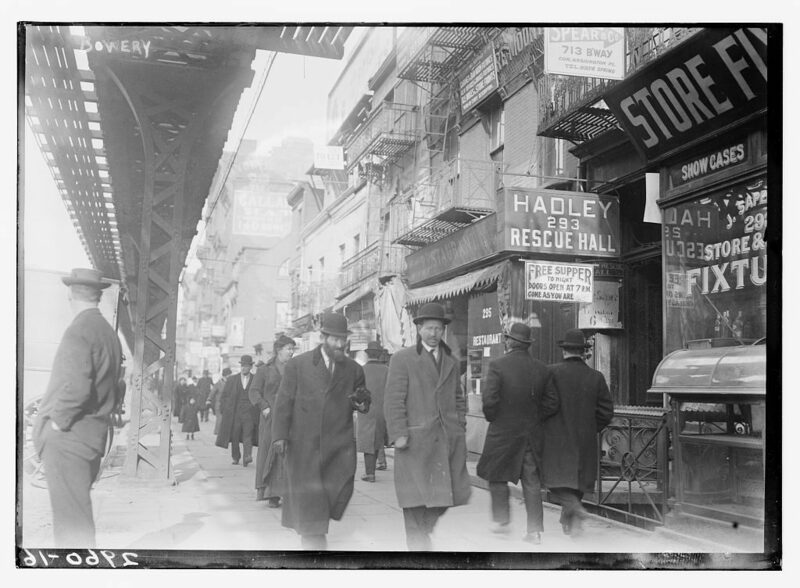 What happened to the Bowery, once the location of fashionable homes and theaters, that such a despicable place could thrive — mere blocks from police headquarters? This is the history of a truly dark place and the forces of reform that managed to finally shut it down. FEATURING: Theodore Roosevelt, Jacob Riis and some rowdy fellows by the names of Eat Em Up McManus and Short Change Charley. This episode is sponsored by TNT’s new limited series The Alienist. 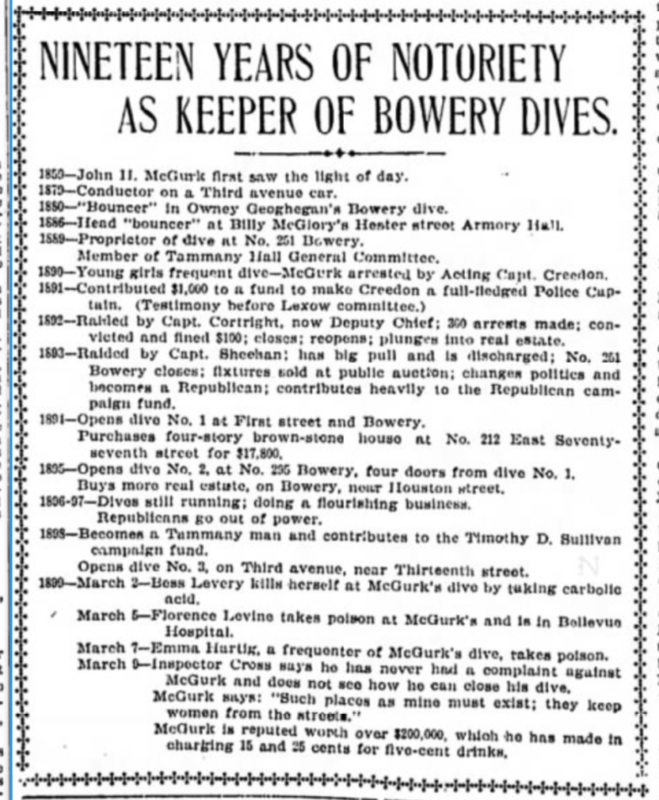 In March 1899, New York Herald ran a comprehensive timeline of McGurk’s whereabouts. 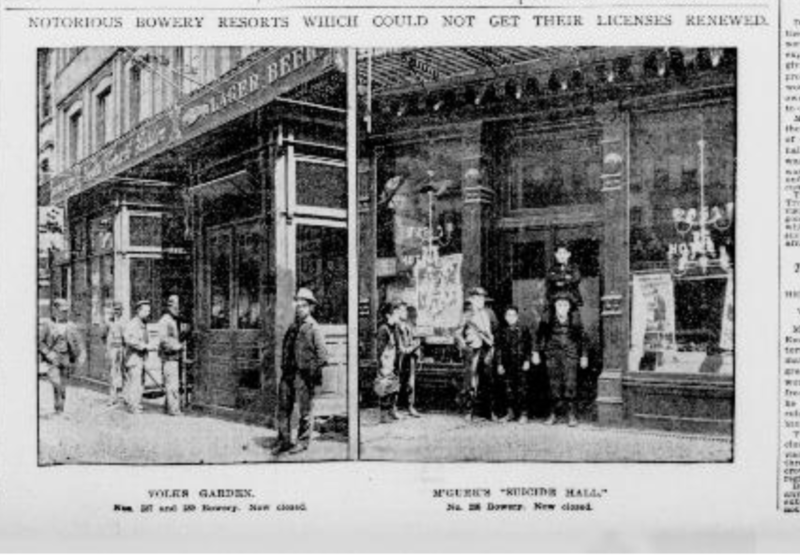 The building became a flophouse called the Liberty Hotel with a restaurant and bar on the ground floor. 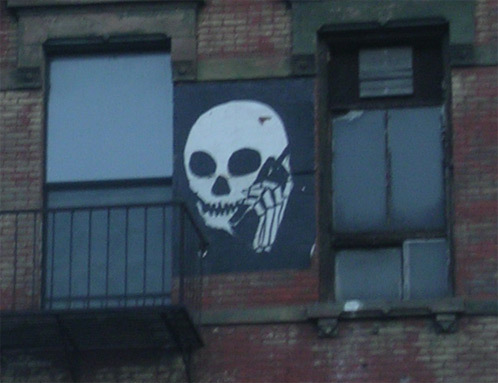 An ominous piece of graphic art on one of the floors above McGurk’s. 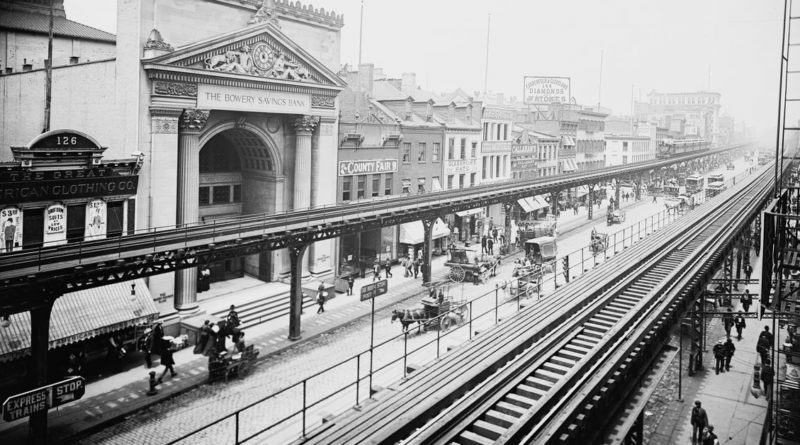 Pictured at top: The Bowery as it looked in 1900. The Bowery Savings Bank is still there (today it’s the nightclub event space Capitale) as are some of the buildings to its right which are part of the Bowery’s lighting district. McGurk’s was located a few blocks uptown. Listen to the other shows in The Alienist ‘podcast takeover’, other podcasts inspired by the TNT limited series including new episodes from Criminal, Casefile, Serial Killers, Thinking Sideways, Unsolved Murders: True Crime Stories, Generation Why and Last Podcast on the Left. Full listing here. The dangers street prostitutes faced in the 1890s didn’t fade away with reforms. Those who walked 42nd Street in the 1970s faced similar perils — including corrupt cops. 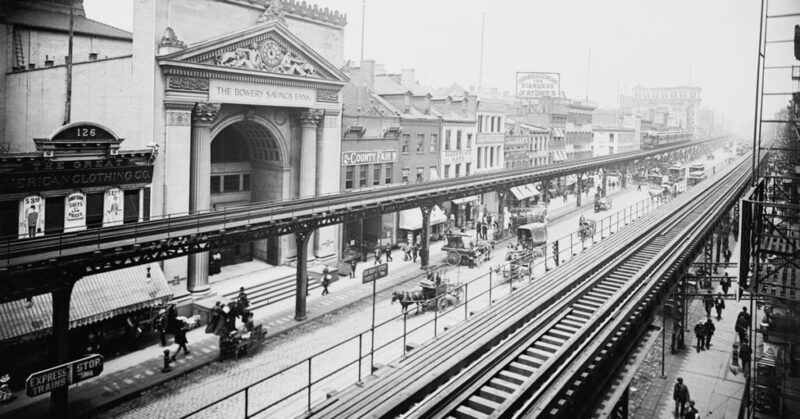 The street life of Manhattan was inexorably altered with the arrival of railroads overhead. 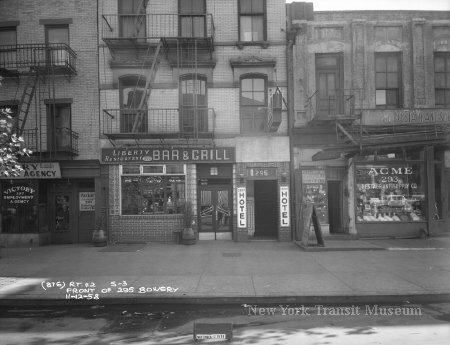 The rowdy nightlife of the Bowery was fueled by the sailors and seamen coming from New York’s vast port waterfront. But by the 1880s, the area that would become the South Street Seaport district had devolved into something truly decrepit.